Whew! On Saturday night, I got home after a wonderful, whirlwind few days at Quilt Market. I'm planning to share some photos with you at this week's NTT, but today, it's time to reveal the next quilt from Stash Statement! The Detour quilt is the sixth quilt in the book, which means we're already halfway through. Can you believe it? 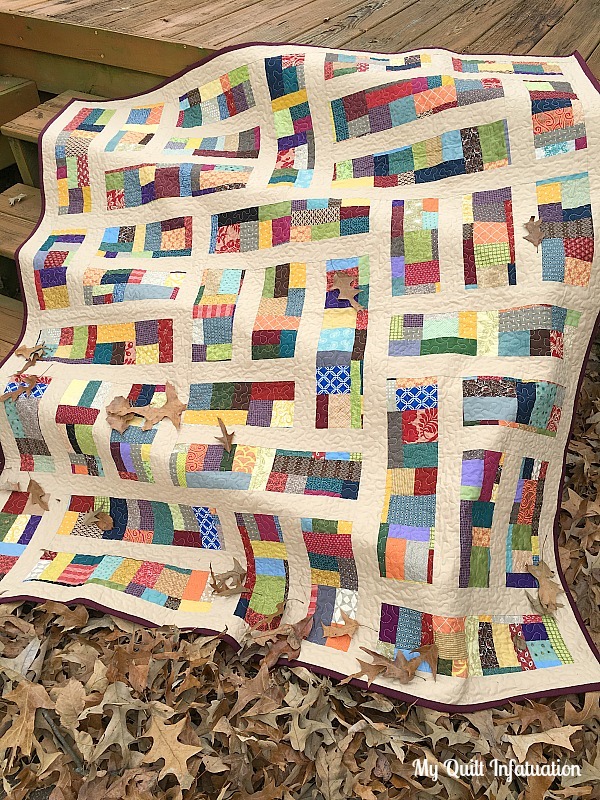 It seems a little strange to highlight a quilt in late May with a more autumn feel, but when I actually made this quilt in the fall of 2016, the rich, warm tones felt right at home. I couldn't resist taking the photo of it amongst the fallen oak leaves in my backyard. 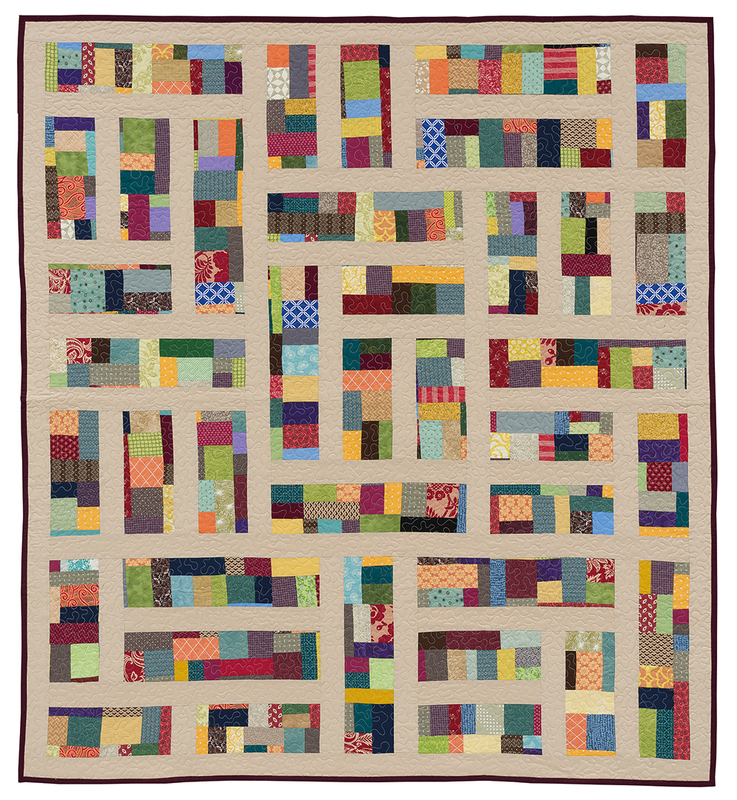 The more traditional fabrics in the Detour quilt perfectly illustrate how versatile this technique can be for every quilter, and for even the most traditional scraps. It's the perfect way to freshen them up and really show them off! The design of this quilt was inspired by an old city map. The random twists and turns give the feel of a sleepy little town, and the Kona Khaki background keeps the quilt very cozy. Best of all, this pattern is so easy to put together. I cut some traditional print fat quarters for a scrappy backing, and decided that a Kona Burgundy binding would make the perfect frame. 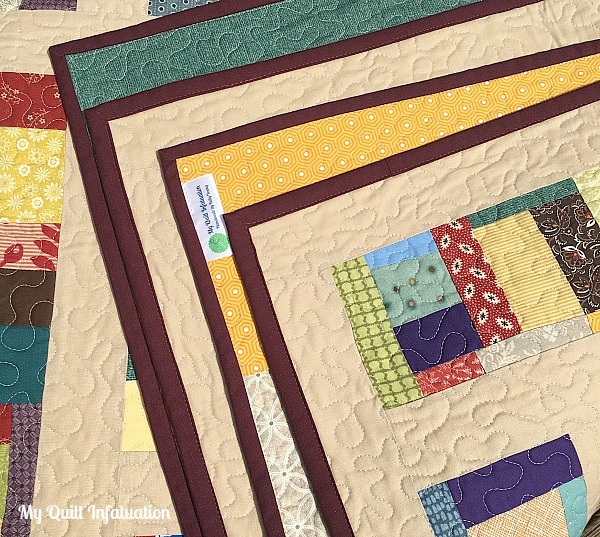 I'm so excited about the two versions of the Detour quilt, made by Laura at Slice of Pi Quilts, and Shelley at The Carpenter's Daughter Who Quilts. They each put a unique spin on the pattern and both versions turned out beautifully. 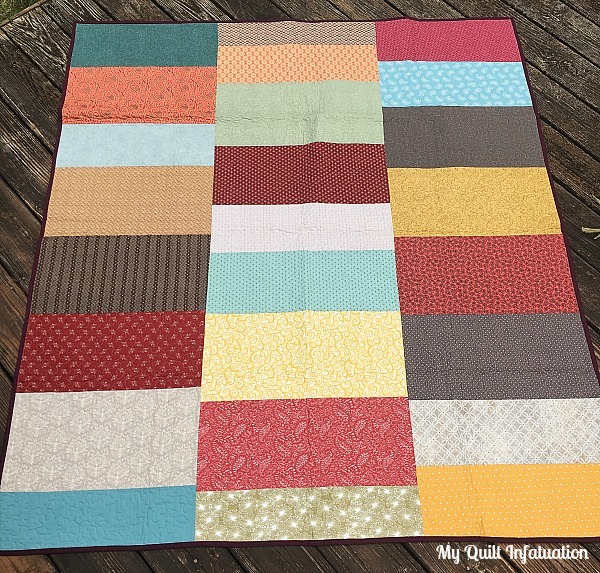 Be sure to check out the two versions of the Detour quilt, as well as all of the other amazing projects from the Stash Statement blog hop, and then get a copy for yourself to start tackling your own scraps. You know you have lots of them! You can pick up a signed copy of Stash Statement in my Etsy shop HERE, which comes with the Take Flight (angel wings) bonus pattern. Or, you can get the book on Amazon, Connecting Threads, or even in your local quilt shop! I love the colors in your quilt, so soft and inviting. I'm paging through your book, itching to try some of the patterns. Hopefully soon! 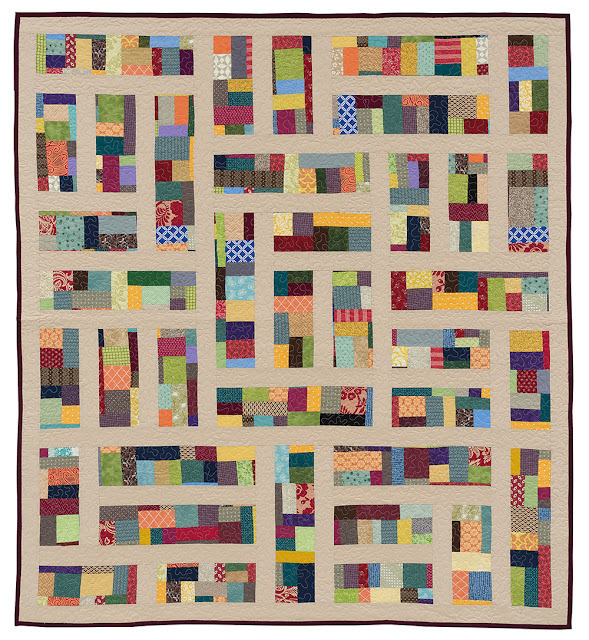 Detour is another great quilt. I especially like Laura's toned down color version even though I usually prefer a riot of prints. Can't wait to hear more about market. Thank you, Deb! I can't wait to see your scrappy masterpieces! Be sure to send me a photo. I would love to see. I will need to get a copy of this. Looks like a great book for charity quilts. It does have a bit of an autumn feel, but I don't think this is an autumn quilt. I just see a get scrappy quilt for any time of year. Well done...once again. May Fabric Deals and Giveaways! Beach Retreat and a Popsicle Party!